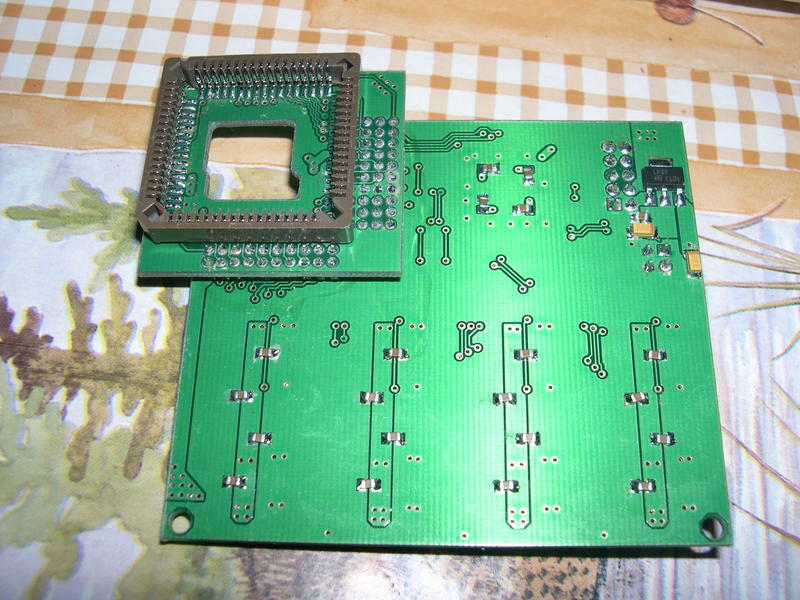 Open your A600 keyboard by deattaching LED cable to the right, then fit the board over the CPU as shown on photos. If you didn't fit anything over A600's CPU before, it is recommended to clean its legs carefully. While fitting, press firmly but not too strongly since the socket can be broken easily. 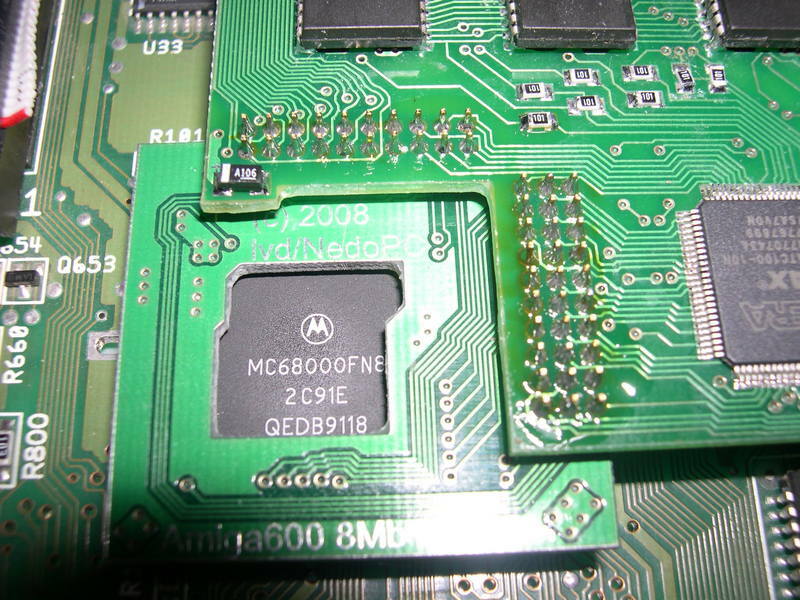 The socket must fit to almost touch the PCB. Turn the power on and you ammy must boot up smoothly with the fast memory. 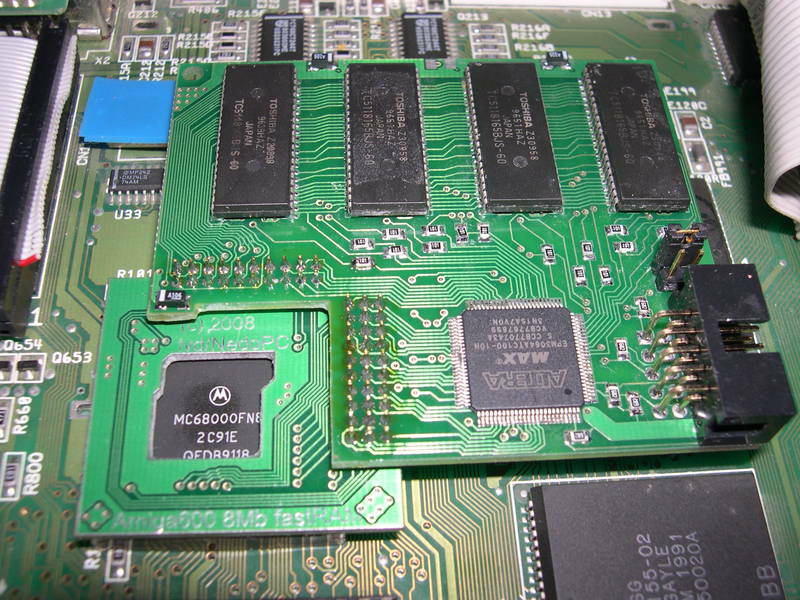 Every board is tested just before sending so any failure is due to the faulty contacts in the socket. 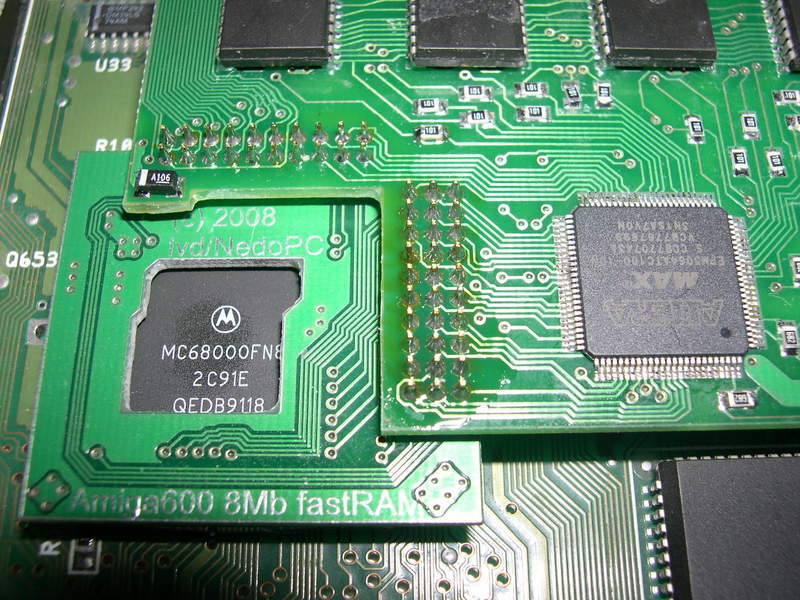 Unfortunately such a placement over the CPU is a pure hack and either stability or reliability can not be guaranteed. Some photos: 1, 2, 3, 4, 5. 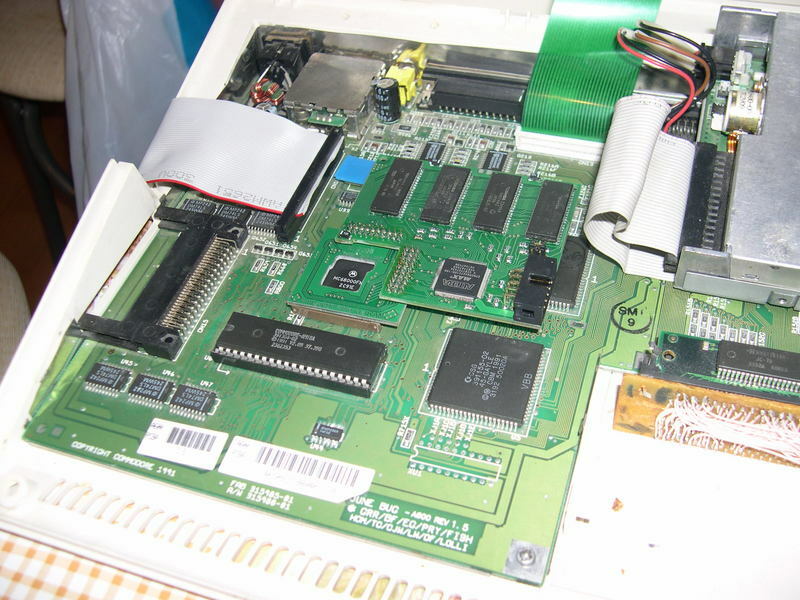 You do not need to switch off Amiga when changing jumpers' configuration, though it is recommended. 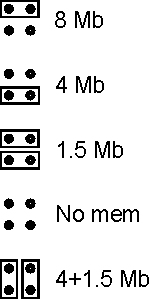 The changes will take place at the power-on or next hardware reset (ctrl-lamiga-ramiga).